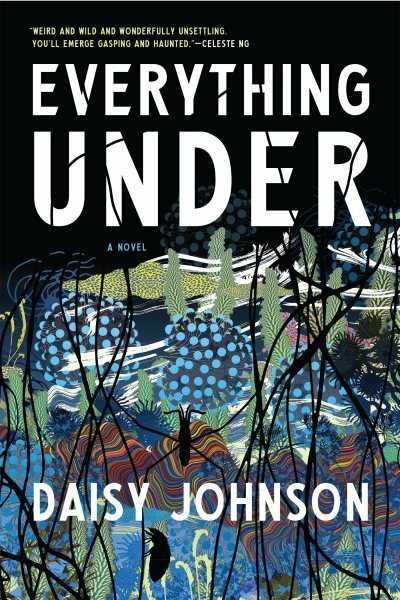 Harvard Book Store welcomes award-winning writer DAISY JOHNSON for a discussion of her debut novel, Everything Under, which was shortlisted for the Man Booker Prize. She will be joined in conversation by bestselling author MARGOT LIVESEY. Daisy Johnson is the author of the short story collection Fen. She is the winner of the Harper's Bazaar Short Story Prize, the A. M. Heath Prize, and the Edge Hill Short Story Prize. She currently lives in Oxford, England, by the river. Margot Livesey was born and grew up on the edge of the Scottish Highlands. She has taught in numerous writing programs including Emerson College, Boston University, Bowdoin College, and the Warren Wilson low residency MFA program. She is the author of a collection of stories and eight novels, including Eva Moves the Furniture, The Flight of Gemma Hardy, and most recently Mercury. She is the recipient of awards from the NEA, the Guggenheim Foundation, and the Radcliffe Institute. She lives in Cambridge, MA and is on the faculty of the Iowa Writers’ Workshop. The Hidden Machinery: Essays on Writing was published in July 2017.